Compostable tableware made from renewable resources is a great option for times when single-use options are needed. Preserve Compostables are made from plants and return to the soil when the party is over. These 7” plates are freezer-safe, microwave-safe and even oven-safe (up to 420⁰F). 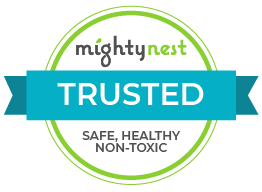 They are non-toxic and manufactured in the USA from renewable resources. For some gatherings single-use products make sense, and single-use products that are made from renewable resources and are lighter on the earth.